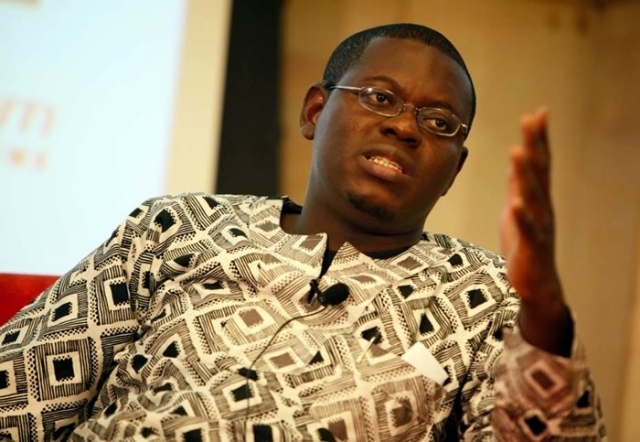 Bright Simons asks: Should pension funds carry the cross of Ghana’s local banks? The approach of the Ghanaian government and its regulators to “managing” struggling banks in Ghana has evolved yet again. From majority state-owned banks doing “purchase and assumption”, we moved to “resolution and consolidation”, and now we are on the cusp of state-directed, privately financed, transactions to “save” solvent but capital non-compliant banks. Instead of the Government bearing the full brunt of the financial cost of salvaging or supporting struggling local banks, it is trying to induce the private pensions industry to see the locally owned segment of the Ghanaian financial industry as a worthy investment prospect, and go to its rescue. It is curious that private pension schemes on their own could not see the ripe opportunities in the financial sector, if indeed they exist, on their own, and that it had to take the Finance Ministry to impel them to band together for this $420 million shopping spree for banking assets. Is this impulse buying or serious strategic thinking? If $420 million is required to ensure that the 5 locally owned banks meet the minimum capital directive of $84 million per bank, then it is reasonable, without more specific information, to assume that the Special Purpose Vehicle being set up to enable the pension funds invest in the industry is likely to own the majority stakes in these banks, and also that capitalisation shall exceed the minimum regulatory threshold. Of course, some of the money being raised will probably go into margin reserves to service the debt itself. First question: can the private pension schemes afford to bankroll these banks? Do they have the muscle? With roughly $2 billion assets under management, and annual growth exceeding 15% over the last three years, the private pensions industry as a whole in Ghana looks rather muscly. The OECD Global Pension Statistics database suggests that cash and deposits constitute nearly 20% of holdings, which would suggest deployable resources of nearly $400 million, just about the amount needed to execute this transaction the Finance Ministry is trying to foist on the industry. The only problem is that the OECD database covers public pensions as well, making it less useful for this analysis. What about local databases? Sadly, in the usual spirit with which public agencies do their jobs, the current NPRA is barely on its feet. After an inexplicable delay of 20 months, the Board of the main pension regulator was finally constituted in late August of last year. The Agency has failed to release even its annual report to the public since 2015. In short, local statistics are hardly of any help. Thus, for me to attempt to contribute my small morsel of analysis to help answer the questions about the industry’s strength, I had to pull up the latest annual reports of the top 5 pension schemes in Ghana (with 80% plus of market share) and try to piece together the picture for myself! The price inquisitive people have to pay in Ghana! From my analysis, the most liquid assets of the private pension schemes make up about 2% of total holdings. This would suggest that the industry’s ability to provide actual liquidity immediately is limited to about $40 million! Luckily, I am engaged in what is obviously poor interpretation. To properly come to grips with the issue, I do have to take into account relatively iliquid assets that can still be brought to bear on the situation if necessary. I refer to the holdings, of these private pension trusts, of short-term securities (money market instruments and treasury bills, in particular). Due to the strictness of the pensions law, and its subsidiary regulations, Ghanaian pension funds are heavily invested in moderately liquid assets of this nature. Roughly 80% of their assets are in this class. What this means in short is that if push comes to shove, they can sell these assets and raise up to $1.5 billion in a few months, if not weeks. But that would require a change in the law, which forces them to maintain their current investment posture. At present, the law does not allow them to invest more than 5% of their funds in “collective investment schemes”. And, strictly analysed, the Ghana Amalgamated Trust (GAT) concept IS INDEED a collective investment scheme in the meaning intended clearly under Ghanaian securities law. If this conservative posture were to be adopted, the pensions industry would be barred from investing more than $100 million in the banks through direct participation in the GAT. But I think I see the “trick” the Finance Ministry wants to use. I suspect, from parsing its terse press release, that the Ministry wants to force-fit the GAT arrangement into the current statutes by fabricating a “corporate bond” on behalf of the GAT entity to the tune of $420 million and then inviting the pension funds to subscribe. Because the law allows the schemes to invest up to 30% of their funds in corporate bonds, this could, in theory, immediately make $600 million available for this GAT venture! It is a sly move. But risks remain. The pensions funds would have to divest a significant portion of their current investment in their main asset categories in order to invest in this bond issued by this amorphous GAT vehicle, trusting the government of Ghana to constitute the entity properly with truly independent and competent directors and managers. At any rate, the investment regulations also bar pension schemes from assuming ownership of companies in which they invest (it is unlikely then that the law would permit collusive ownership by a group of pension funds) so full trust in Government’s best intentions is critical. What would be the impact on the securities industry broadly as a result of such a divestment anyway? The above analysis focuses purely on technical and legal feasibility, but what about commercial sense? Should pension schemes increase their allocation to corporate bonds by a multiple of more than five (i.e. 500%+) simply because the government says they should? And even if liquidity is being promised through a primary listing of the bond on the 3 year old, presently underwhelming, Ghana Fixed Income Market (a Ghana Stock Exchange platform), should the Trusts be so trusting? The commercial decision to place more than 20% of current tier one and two pension funds in local bank equity as an asset class is likely to be taken with extreme care as it represents a radical departure from how pension funds have been managed in Ghana to date. Currently the best performing pension scheme managers are receiving compensation (fee income) of less than 1% of total funds under management. These fees are being generated on the back of investment returns in some key investment vehicles exceeding 20% per annum. The appetite of pension fund managers for risky, low yielding, instruments must be very low. Would the GAT bonds offer yields far exceeding 20%? If not, why would any pension scheme want to invest in these relatively riskier assets for a modest spread when their current conservative investing strategy (allocating 80% or more of their funds to short term government and money market securities) is already returning 20% plus per annum? The government’s press release on the transaction appears to suggest that GAT shall offer the $420 million to these banks as equity, not as convertible debt (it is unclear that convertible debt would meet the regulatory requirement anyway), and that the subscribers of the GAT bond (the ultimate investors that is) – the pension funds – would be aiming to derive their returns through capital gains on the Ghana Fixed Income Market as opposed to a reliance on the yields on the bonds. Unfortunately, trading on the GFIM has been much too thin to really provide any serious comfort, though I should probably dig deeper into this. Clearly, then, we are back to the yields on these bonds, which, on the surface analysis of the risks, should be yielding about 30% to really make sense. But if GAT shall be issuing such a high-yield bond as its source of capital to invest in these banks, and capital gains appreciation on the country’s anaemic fixed income bourse is infeasible as a strategy, then the question becomes: will the five local banks show the Return-on-Equity (ROE) needed to support the dividends the GAT shall require to pay the coupons and finally redeem the bonds? Recall that for most of them their asset base shall be expanding by roughly 4x post-investment. Traditionally, higher ROE on an expanded asset base is very hard to pull off even for seasoned managers, especially in the short term, which is precisely the reason why some of us were so critical about the minimum capital directive in the first place. Or is all this, as the clever Patrick Stephenson insists, “balance sheet transactions” with very little actual liquidity expected to move around? It is disappointing that, once again, debate on this whole process is so stifled, and official information so bereft of depth. As with many things in Ghana we are forced to leave everything to time.